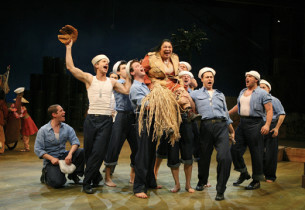 One of Rodgers and Hammerstein’s most glorious creations, South Pacific received a revival worthy of its pedigree, when this Technicolor production, directed by Bartlett Sher, opened on April 4, 2008 at the Vivian Beaumont of Lincoln Center, where it is still playing as of this writing. 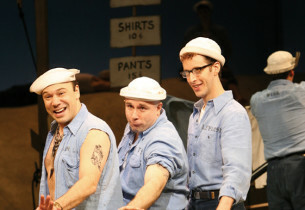 Bursting out with splendid visual effects on the wide proscenium, and enthusiastically performed by its cast and the orchestra conducted by Ted Sperling, it became the must-see hit of the 2007-2008 Broadway season. 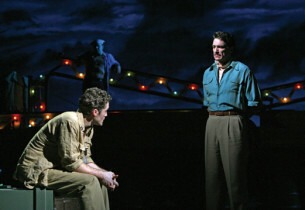 As Nellie, Kelli O’Hara was simply delightful in a role that seemed to have been written with her in mind; as Emile, Paulo Szot, a Brazilian bass making his legit stage debut in New York, proved perfectly cast; also a newcomer to Broadway, Loretta Ables Sayre gave a new dimension to Bloody Mary, while Matthew Morrison and Li Jun Li were just beautiful as the star-crossed lovers, Lt. Cable and Liat. 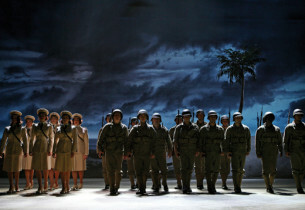 A gorgeous revival, South Pacific set the bar several rungs higher for all productions that might follow it. 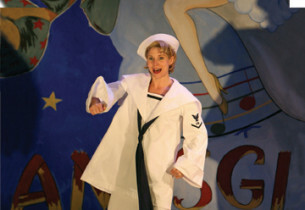 Find Sheet Music for South Paciric at Musicnotes.com. Click here! 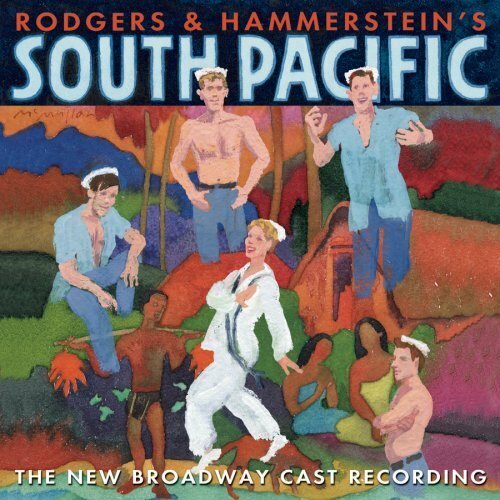 Watch Matthew Morrison record "Younger Than Springtime" from South Pacific in the Video Spotlight! 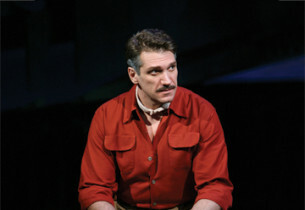 Watch Paulo Szot record "Some Enchanted Evening" from South Pacific in the Video Spotlight! 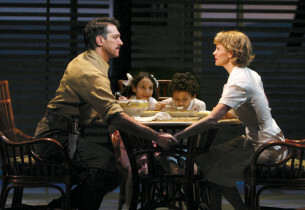 Watch the New Broadway Cast recording session of South Pacific in the Video Spotlight!